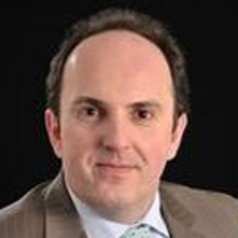 Christopher Bovis JD, MPhil, LLM, FRSA is Professor of Business Law at the Business School of the University of Hull. He is internationally renowned specialist in public sector management, public procurement and public private partnerships. His fields of expertise cover international business and trade law, European Union law, anti-trust, energy, transport and telecommunications. In his teaching and research he has covered a wide range of areas in public law, company law, European law, international business and trade law, employment law and industrial policy and published extensively in these areas and disseminated his research internationally. His academic work has been regularly quoted by the European Court of Justice. He became Life Fellow of the Royal Society of Arts and Manufacturing in 2006. He was appointed by the United Nations as Rapporteur to the Millennium Development Commission on Public-Private Partnerships in 2009. He holds a JD from the University of Athens, an MPhil from the University of Amsterdam and an LLM with Distinction from the University of Hull. He is qualified barrister and solicitor before the Supreme Court of Greece.